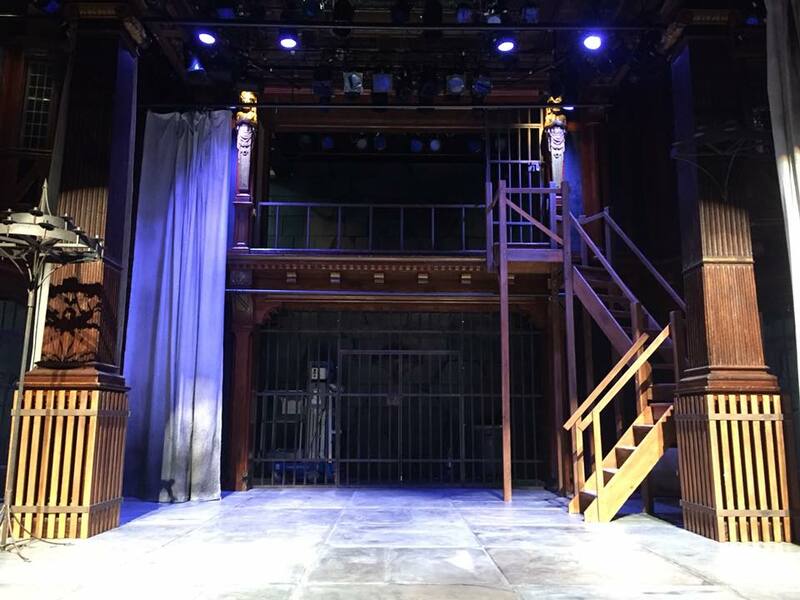 Although Folger Theatre has been dark throughout the hot nights of a Washington summer, our Public Programs division has been preparing for an upcoming season of theater, poetry, and music. Public Programs Intern Madelyn Dundon catches us up on what has been happening ahead of performances of Macbeth. 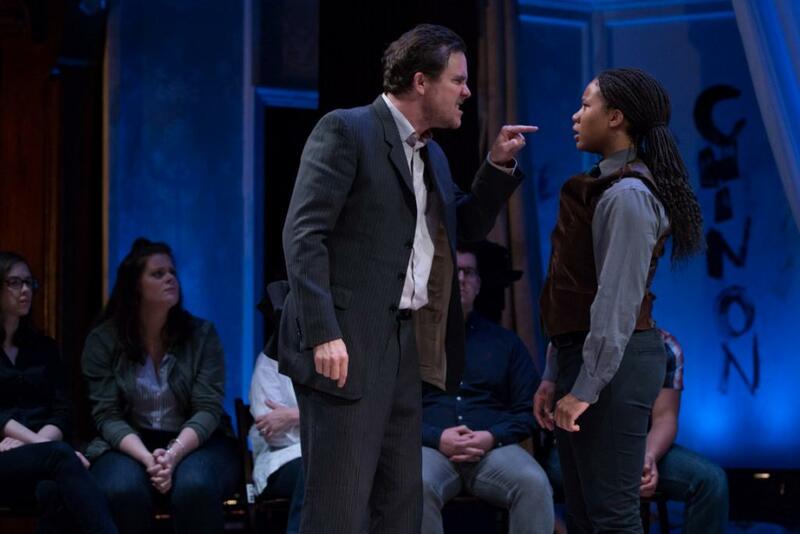 Eric Tucker and Dria Brown (Joan), Saint Joan. Folger Theatre, 2018. Photo: Teresa Wood. Our 2017/18 season wrapped up in June with Bedlam’s production of Saint Joan. This riveting, stripped-down production, was reviewed by Peter Marks of The Washington Post said,“there’s wisdom and wit in abundance…see for yourselves”. Following a year of productions each with diverse scenic and technical demands our theater was in need of a good cleanse. All joined hands for a thorough cleaning out and reorganization of the Folger Theatre’s multi-storied backstage and expansive props collection. All items no longer equipped for stage use were gathered and displayed to encompass our own “Flea Market,” open to the public and Folger staff. From china to furniture to vintage books, the props collection continuously proves to be a treasure trove of unexpected finds. Our Folger Theatre 2018/19 season (Shake the world and see anew…) begins in a few short weeks (with the opening of Macbeth on September 4th ), and concludes in June (with Love’s Labor’s Lost). This gives the team the summer months to audition and cast each production. Auditions and callbacks were held in May and June for new and known talents. Visit the Folger website to meet the casts for this season’s productions. Along with our friends in the box office, we prepared and sent along all subscriptions for the exciting upcoming seasons of the Folger Consort, Theatre, and O.B. Hardison Poetry. 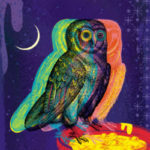 Subscriptions are currently available to purchase, as are single tickets, and come with benefits such as getting the best seats at the best price, free ticket exchanges, special offers, a Hill & Will discount card for local shopping and dining, and a complimentary subscription to Folger Magazine. The set for Macbeth. Set design: Tony Cisek. As the end of the summer approaches, we are readying for Macbeth, which includes a total turn-over of our artist house just a few doors down from the Folger. This summer the home was in need of a handful of renovations, all executed with impressive speed thanks to our maintenance team. 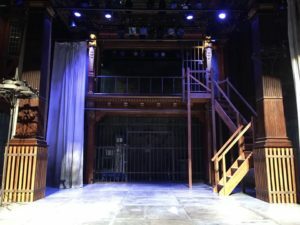 Across the street in the Folger Theatre, load in has begun, and over here in our offices we will be welcoming the cast and artistic team on Tuesday for their first rehearsal to kick off the season. Stay tuned to learn more about this groundbreaking production over 350 years in the making. August also brings our beloved free summer screenings to the public, an event we like to call “Bard in the Park.” This year we will be looking at fan favorites inspired by Shakespeare with screenings of The Lion King (Thursday, August 16th, at sundown), and Kiss Me Kate (Thursday, August 23rd, at sundown)! With the time and talent of many forces, our crew sees these D.C. summer days as the perfect time to continue its mission of bringing the works and world of William Shakespeare to the public. Follow along as we prepare for Folger Theatre’s Macbeth, beginning performances on Tuesday, September 4. For tickets and more information, visit us online or call the Folger Box Office at 202.544.7077.